Brands like Ashton, Cohiba or Guantanamera can be bought everywhere. We at StarkeZigarren with our store “Delicious Berlin” also offer rare varieties such as Dona Flor cigars, Vegas de Santiago cigars and Domenico cigars- brands from the Caribbean, Central and South America that you will not find anywhere else in Berlin. If you ask yourself where to buy cigars in Berlin, StarkeZigarren in the Western part of Berlin is the right place! If you want to buy or smoke cigars in Berlin, the place of enjoyment is the Pariser Str. 54 in Berlin Charlottenburg – Wilmersdorf. There is a large walk-in humidor in our shop, which makes the selection difficult. And: Our offer is growing steadily. Additionally you can choose from a selection of 3.000 different cigars in our webshop (StarkeZigarren.de). In Germany, there are only few providers who can delight the aficionado with such a complete range of short and longfillers. We ensure a nice and relaxed atmosphere in our shop. Hustle and bustle are unknown words in our street near the famous Ku’damm. In our shop the visitor can enjoy a cigar, an espresso and read a newspaper. 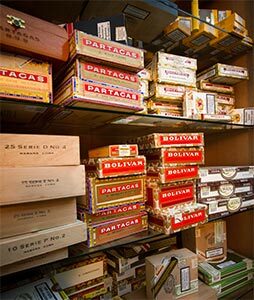 The walk-in humidor provides enough cigars from Cuba, the Dominican Republic, Nicaragua, Honduras, Brazil, Germany and many more. Behind StarkeZigarren / Delicious Berlin is a young team that has been interested in high-quality gourmet products for years. Our products used to be online only. Since we believe that you must „experience“ fine spirits, great wines and fine cigars, we decided in 2011 to open a shop for connoisseurs. It all started in Costa Rica, where Sebastian Gollas visited a cigar factory in 2005 for the first time. In the following years, additional employees joined our team in Berlin. Since 2015 Sebastian Gollas and Martin Geisler are pulling the strings for the project „Delicious Berlin“. Our capital seemed to us suited best for cigars, spirits, wine and delicacies. 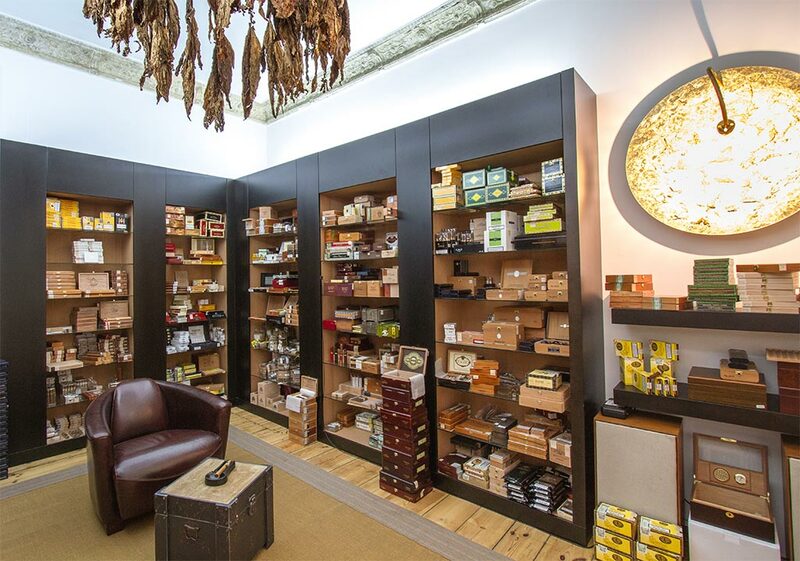 Since 2013, you can enjoy the best cigars and spirits in our shop in the Pariser Str. 54 in Berlin / Charlottenburg – Wilmersdorf, taste good wines and take part in regular events and tastings.